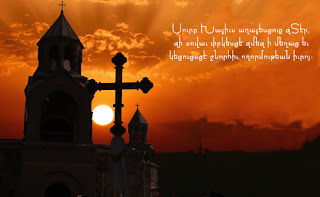 Today, September 15th, the Armenian Church celebrates the Feast of the Exaltation of the Holy Cross (Khachveratz). At the end of the service, parishioners receive blessed basil, which can be used in recipes. 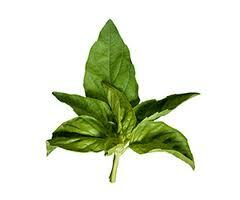 Basil, also known as rahan, is a sweet-smelling plant with leaves that vary in size. On this feast day, basil is used to decorate the cross because according to tradition,"the True Cross was overgrown with aromatic basil, which is used in the commemoration of the feast day today". To learn more about the Feast of the Exaltation of the Holy Cross, please click here. NOTE: In the early days of The Armenian Kitchen's existence, I wrote about the significance of basil in the Armenian Church, and provided a recipe for ‘Eggplant-ZucchiniBake’, which features this fragrant herb. 1. In a large pot, add oil and heat on a medium setting. Add onion, cover and cook, stirring occasionally, until onions start to soften and turn brown, about 5 minutes. Add cayenne pepper, if using, and cook, stirring, for 30 seconds. 2. Add broth, tomatoes and zucchini; bring to a boil. Reduce heat to a simmer and cook, stirring occasionally, until the vegetables are just tender, about 7minutes. Stir in escarole, lemon juice, and salt and pepper; continue cooking until escarole is wilted, 5 to 7 minutes more. Ladle soup into bowls and garnish with fresh basil.